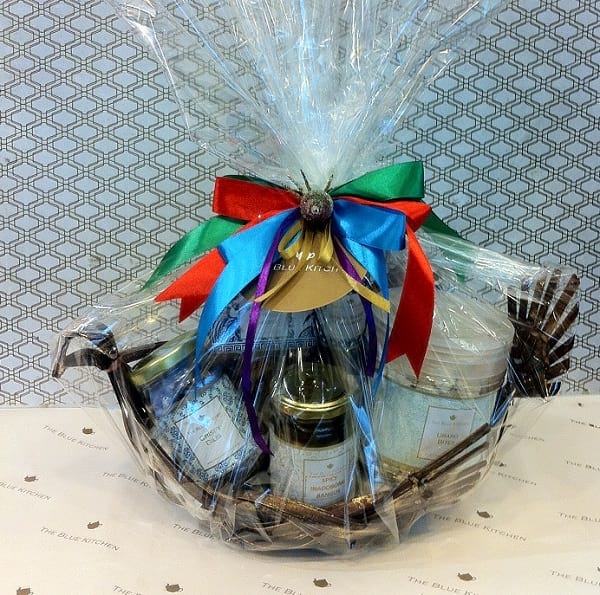 Who doesn't enjoy receiving pretty gift baskets this Christmas? 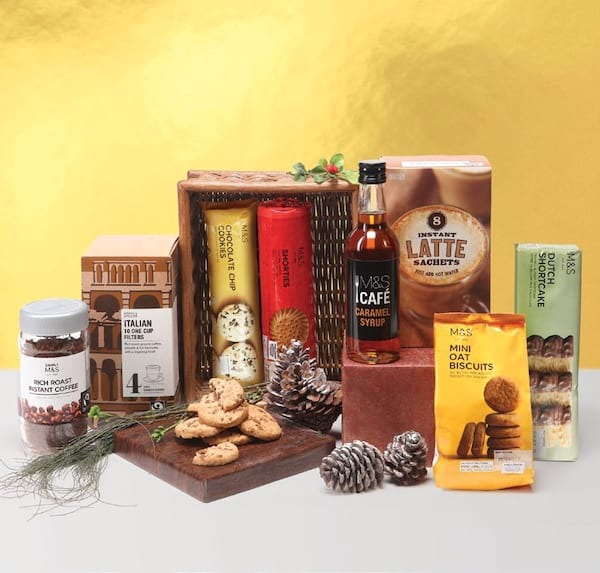 There's a lot to love in these specially curated holiday hampers and packages, proving that the best things you can get (and eat!) 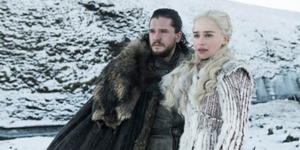 this season can come in bundles. 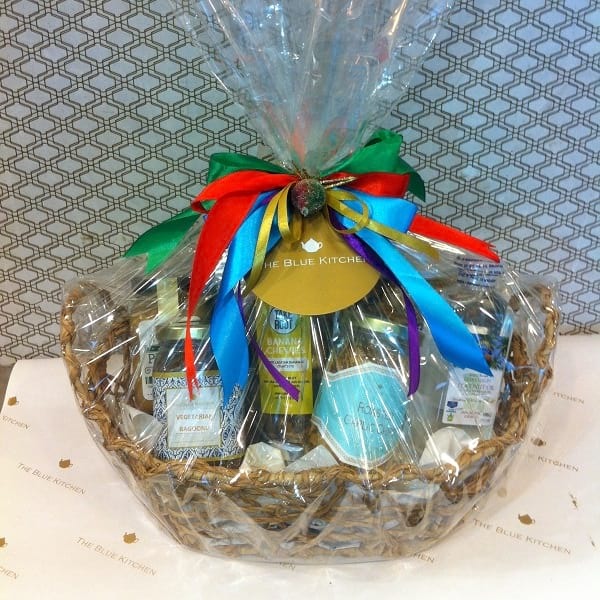 Ordering gift baskets and hampers during this busy season saves you from the hassles of gift wrapping -- these gifts will always look picture-perfect to place underneath the Christmas tree. 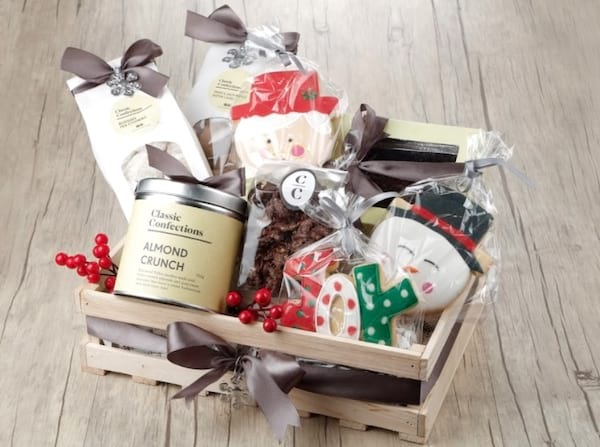 Here's a roundup of 6 places where you can order your gift hampers, sets, and baskets to help you accomplish your Christmas gift list faster -- time is ticking and traffic is only going to get worse, so start your holiday shopping ASAP! 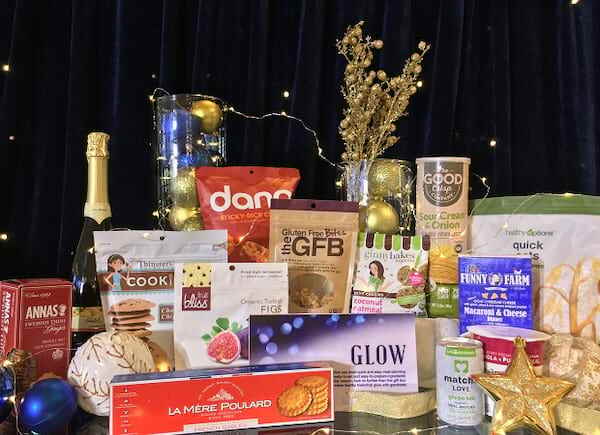 This year, their theme is 'Light Up Your Christmas' and so their specially curated gift boxes are light-themed and feature wholesome, all-natural food options. Each box has has a special foodie in mind -- Sparkle Box (P6,995) is a bundle of gourmet healthy treats, Glow Box (P2,995) carries nourishing on the go snacks, Glisten Box (P2,995) is perfect for the gluten-free dieters and those with food allergies. Each box comes with different benefits and nutrients, so take your pick! Healthy Options Gift Boxes start at P2,995 each. Looking to spoil your loved one's pantry and fill up their kitchens with local homemade treats and eats? Then The Blue Kitchen is your go-to for this season's gift shopping. Aside from in-house artisanal food items like frozen and bottled goods, snacks and desserts, the store also carries other local food products. You can customize how to bundle and pack your gifts here by choosing baskets, bags, boxes, and bamboo trays of different sizes and shapes to carry all the food items. But to save you from time, just pick from their current curated list of Gift Sets. The Blue Kitchen Gift Sets range from P515 to P2,320 each. 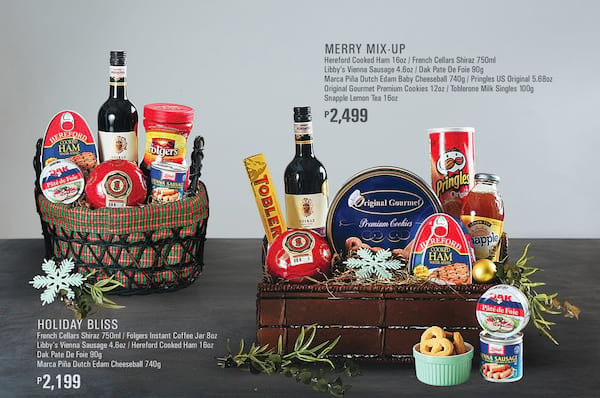 For festive food gift essentials, Rustan's Supermarket and Marketplace has always been on top of mind for their quality products and premium items. 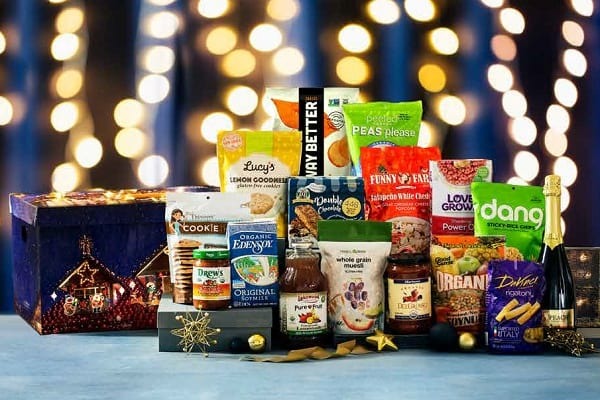 Their selection of Holiday Baskets this year caters to different price points, if you want to gift something they can enjoy for snacks or splurge on a full feast. Want to bring something fresh to the table during potluck gatherings? 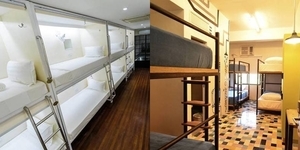 You can order their Cheese Platter (P1,849) and Charcuterie Platter (P1,199) good for 10-12 pax. Holiday Baskets 2017 start at P799 each, and are available at Rustan's Supermarket and Marketplace by Rustan's. 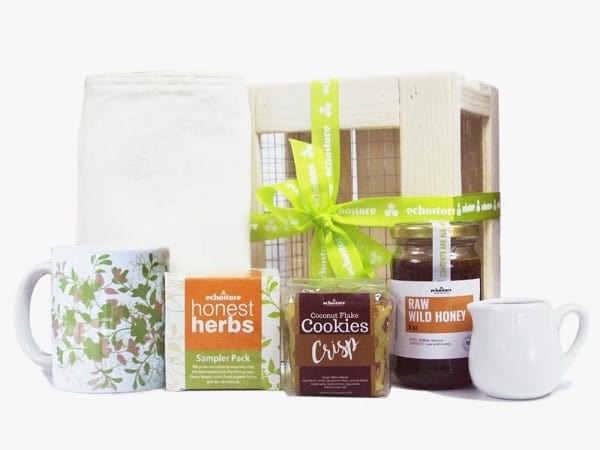 Gift your friends and family a selection of Philippine-made products that align with a sustainable lifestyle -- be it pantry staples like coffee and coconut sugar, or bath and body essentials that have all-natural and eco friendly ingredients. 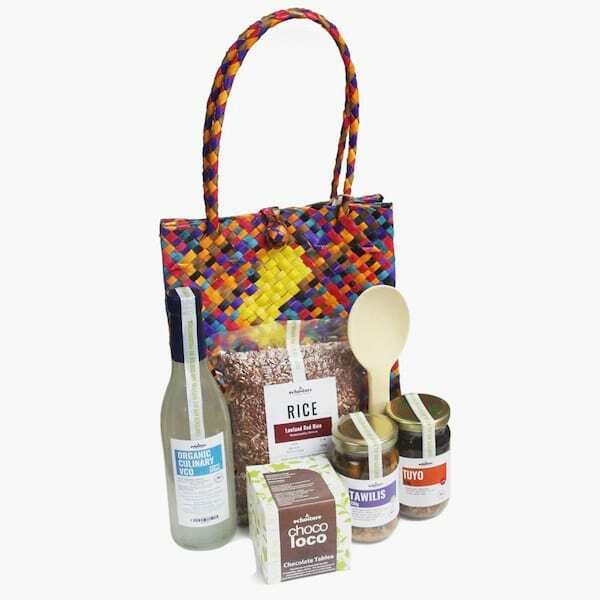 Browse Echo Store's Social Food, Social Good gift catalog for the gift bundle that best suits your loved one's taste and lifestyle. For breakfast lovers, they have a Morning Set (P1,889), a Pancake Set (P1,569), and even a Patriotic Breakfast (P1,299) bundle so you can prepare and enjoy a truly local gourmet champorado experience at home! Bundles and gift sets range from P199 to P1,889. Order them online here. 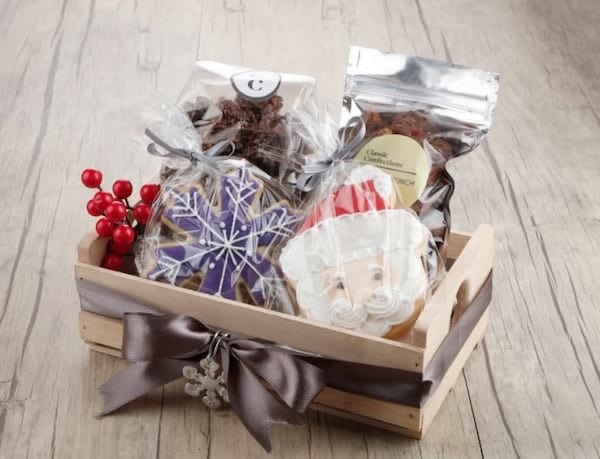 Confections Gift Basket (P550) includes a pack of Almond Crunch, Chocolate Cornflake Clusters, and Holiday sugar cookies. This one's for your favorite sweet-toothed folks -- a selection of curated gift baskets filled with sweet treats to nibble on courtesy of Classic Confections, who's celebrating ten years of serving Manila some of the most sought-after desserts and cakes. For the dessert-obssessed, spoil them with affordable yet yummy options like Confections Gift Basket (P550) and Bread Gift Basket (P975), and bigger gift sets like Bread & Confections Gift Basket (P1,200), Cookies and Bar Basket (P1,350), and Classic Confections Gift Box (P2,000). 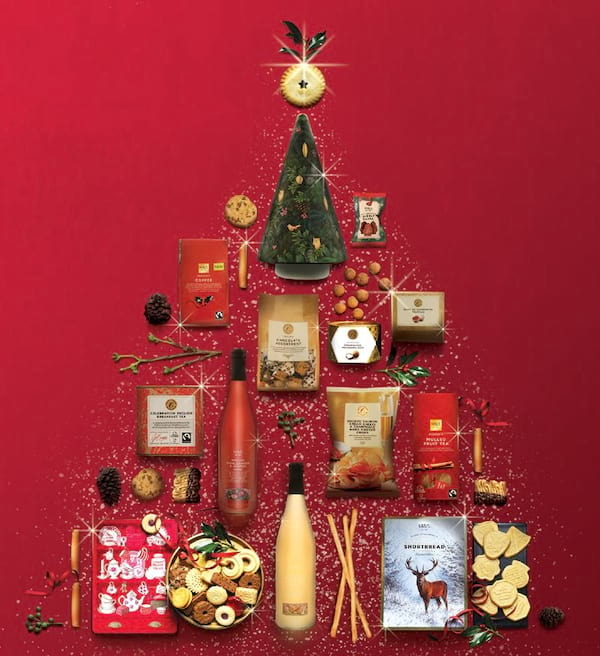 The famous retail brand hailing from London is also your best bet for festive foodstuff with crisp and classy packaging. 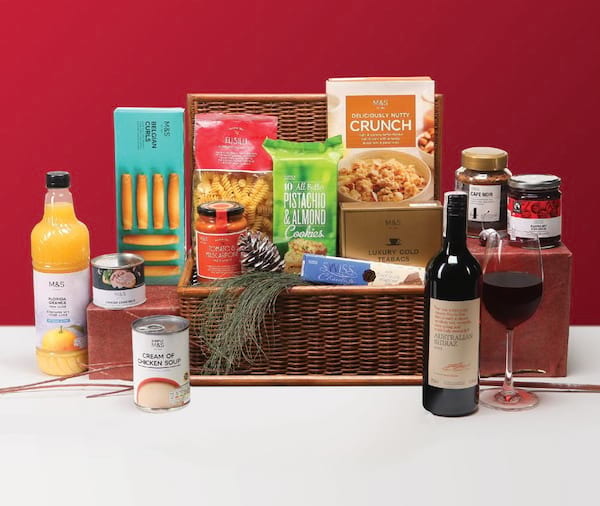 M&S Food Stores now have beautifully packaged baskets and boxes of goodies (even wine gift sets) if you're seeking the perfect gift for foodies or for yourself. Shop earlier and you can avail of their Sparkling Offer: Free P250 gift voucher for every P5,000 purchase of Christmas Food and Wine Gift Sets up to November 30, 2017 only. 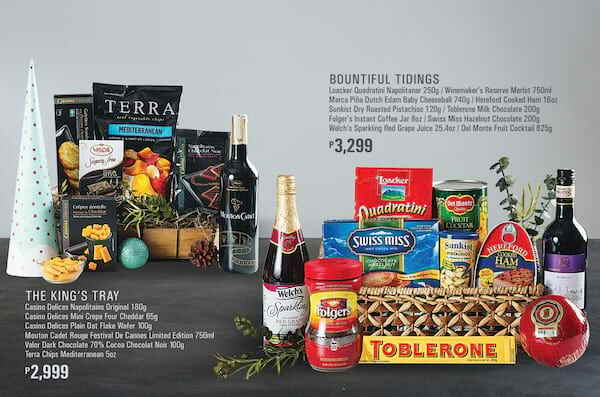 M&S Hampers and Food Sets range from P1,495 to P4,995 each; Wine Gift Sets/Duos are priced P1,195-P1,795 per set.